The SkyActiv-G 2.5T is a 2.5-liter direct-injection turbocharged gasoline engine. It is the first turbocharged unit of the Skyactiv-G engine series which powers Mazda’s midsize crossover SUV CX-9 and sedan Mazda6. The engine based on naturally aspirated SkyActiv-G 2.5 engine. There are the same bore and stroke, but the compression ratio is lower - 10.5:1. The SkyActiv-G 2.5 shares many parts with turbo version: the crankshaft, balancing shafts, the fuel pump, fuel injection system, oil pump, etc. The supercharged unit is interesting with two new systems. The first is the Dynamic Pressure Turbo system, simulating the operation of a turbine with variable geometry. At low engine speeds (below 1620 rpm), the exhaust gas flows through narrow channels. That maximizes the energy of each exhaust pulse to obtain a high turbine driving force. The additional valves open at the higher RPMs, sending gases to the impeller like a traditional turbocharger. This system allows the engine to have excellent, linear and powerful acceleration in the low- to the mid-rpm range without turbo lag. The second technology is the recirculation of the cooled exhaust gases EGR, which allowed lowering the temperature of gases from 500 to 100 degrees Celsius. With the cooled recirculation gases, it became possible to raise the compression ratio to 10.5, which is very high for turbocharged engines. The new Mazda 2.5-liter SkyActiv turbo engine is a relatively new engine, and there are no massive reports yet. Starting from the fact that the engine is based on SkyActiv-G 2.5 and shares many SkyActiv technologies, we can assume that there will be no serious problems with it. 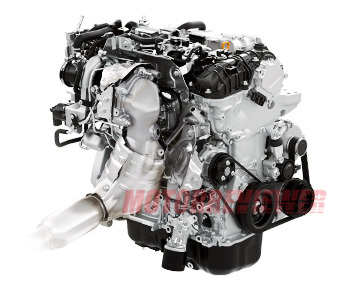 The all previous engines of that series are known as good and reliable engines with low fuel consumption and high performance.